Not every adventure involves travelling the world and exploring new places. Sometimes adventures can happen right in your own home. These can be adventures of self-reflection, growth, and personal development. Recently, I've been in a bit of a poor health funk. I was eating poorly, I wasn't exercising, and it was starting to seem like my body was morphing into the couch (it happens to the best of us from time to time). My body and my health were definitely paying the price for my poor decisions. I knew that something needed to change. I was hated feeling sluggish and exhausted all of the time. With my busy schedule, I was worried that any attempt I made would quickly stop. I often become overwhelmed by too much change. This causes me to fail quickly. I did not want that to be the case this time. I needed this change to become a habit. Join the adventure, pin this post! Pinterest truly is a wonderful invention. You can find almost anything and everything you didn't know you needed. I've found when I write things down; there is a greater chance I will follow through with them. 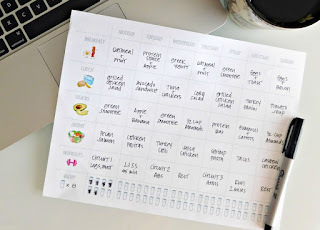 Posting my daily meal plan on the fridge has helped hold me even more accountable (that and if I skip a meal, it's staring me right in the face and guilt ensues). I found this amazing calendar from healthandhappyhour.com. It's a great calendar where you write out your meals for the week. It also has boxes for exercise and the amount of water you drink throughout the day. I'm not sure about you, but with a massively busy schedule, I always start with the best intentions to eat properly throughout the week. Then Tuesday rolls around, and I've overslept, forgotten to pack a lunch, and I'm driving through Macca's in between clients. Planning my meals in advance not only helps me make sure I am eating healthy throughout the week but also helps me avoid food waste. Before I started planning out my meals, I would frequently buy too much food or food that I could not incorporate into other recipes. By planning out my meals in advance, I'm able to really be conscious about my food decisions and make sure I waste as little as possible. In the long run, it's saved me a ton of money! If you're anything like me, then you're definitely not a morning person. I can set multiple alarms, write motivational quotes, and have every intention to wake up early to walk the dog and have a good, healthy breakfast. By the time the morning rolls around, I'm hitting snooze and running the maths in my head as to how long I can afford to stay in bed and not be late to work. Taking an hour or two out of my Sunday to prep my first few days of meals is incredibly helpful, especially for brekkies. I generally don't spend much time cooking meat dish (as I'm really weird about eating reheated foods) but I will chop up all the fruit and veggies, separate ingredients for each meal, and put together some simple breakfast foods. Recently, cottage cheese with fruit or a smoothy has been easy go-to meals for the morning. One of the easiest ways to fail at something is by taking on too much at once. I'm am definitely guilty of trying to change too many things at once, getting overwhelmed, and then completely giving up altogether. A simple way to stop this cycle...Introduce small goals. Set a timeline for how long you need to master this goal before adding another one in. If you want to cut out soda, all sugars, and completely change your eating habits, start with one and work your way up to having your diet encompass all of these goals. When I'm trying to change my diet, I normally try to eat healthy four out seven days during the week. I try to gradually increase this number up to the whole week. 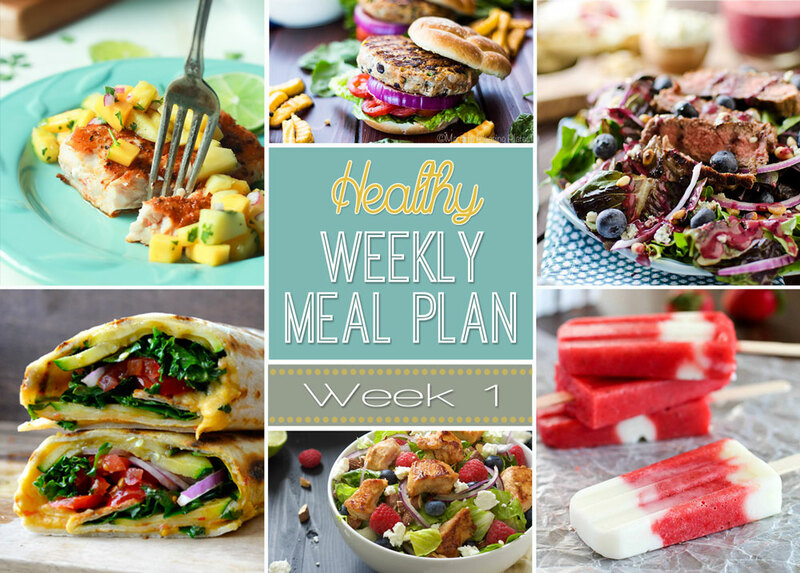 Often, with the meal calendars and meal preps, it becomes incredibly easy for me to eat healthy the entire week. Then I feel even more accomplished with my goal! There's only one way to make a change, and that's actually to start. I know I'm not going to be perfect in this endeavour, but I know eventually I will make healthy eating into a permanent lifestyle choice. 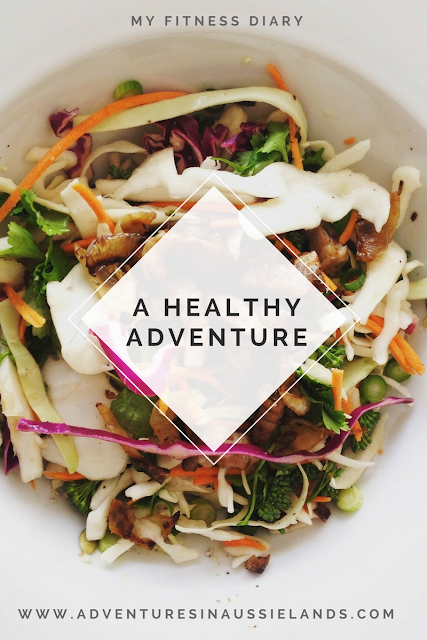 If you're looking for ideas on where to start, I will be posting great meal plans and other healthy recipes I find on my Pinterest. Wow!! We sound so similar!! I have MS and don't work. I spend my days on the couch. I don't eat anything until dinner when my finance brings home fast food. I don't exercise either. I know I need to change my bad habits I just don't have the motivation. But after reading your post I am going to try my hardest to incorporate some of the tips you gave. I thank you for posting this as it encourages me to change. I have tried to change so many times but have failed. I think I'm going to try with the exercising first. If you have any suggestions I would love to hear them!! Again, thank you so much!! 1. Stretching: even on the days when I feel the worst, stretching always seems to help. That way I don't feel down on myself if I don't actually get to exercise. 2. Walking: if I don't have time to get to the gym I always try to go for a walk. Even if its just around the block it will help get me out of the house and feel like I've done something. 3. Yoga: its absolutely fantastic and you don't need to go to a class. There are great apps and videos on youtube to follow that are absolutely free! 4. Blogilates: she's on youtube and has fantastic videos. If you subscribe to here mailing list, every month she'll send you a calendar with daily videos for the perfect full body workout. Sometimes they can be a bit challenging but I try to do at least one per day. I have been soda free for almost 2 weeks! (Yay) although I did Have an energy drink yesterday lol I am also trying to exercise regularly but its so hard for me to get motivated sometimes! I work at night and sleep during the day so it's so hard to find time and energy. I will definitely look up blogilates on YouTube. She's awesome! Trust me you'll love blogilates! The videos are the perfect amount of time if you're busy. You're welcome! Glad you enjoyed the post. Thank you for sharing with us. I'm very careful about what I eat and drink. Everything you take can bring harm or success to your health. I always do exercises like jogging, soccer and some other physical to stay in track. I check see the doctor once a month to see how I'm doing. I hope everyone has their own way of taking care of their health. Wow! Those are all awesome ways to keep fit. It's great that you have the support of your physician as well. I can image that would definitely make things challenging. Nothing wrong with rewarding yourself with a cold one every now and again. I've found when I do not allow myself to eat certain things, I quickly fall off the wagon. Instead, I just limit the amount I intake. I'm literally unhealthy when it comes to picking food. But to be honet I've tried the Meal Calendar I just lost lack of motivation to do it. But after reading this I think I'll give it a shot again. Thanks for this! Motivation can be a tough one. For me, once I miss one day, I find it easier and easier to miss the next couple of days. I've convinced a mate to jump on this journey so having an accountability buddy has really helped! Nothing wrong with having a cold one every now and again! Aussies are known for their drinking so I would be lying if I said I didn't indulge every now and again. 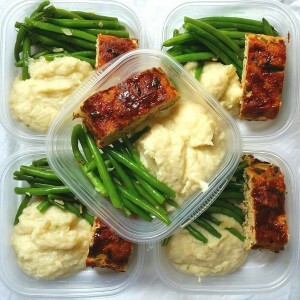 I've found prepping freezer meals are incredibly helpful for me. Then I just pull them out of the freezer and put them in the oven or the crock pot.